by gillian claire: Pi Day Celebration! Sponsored Post: This post is sponsored by Edwards Desserts, but the content and opinions expressed here are my own. It's no secret that my boys have been driving me a little crazy lately. I love them with all my heart of course, but man we have been going through a rough time! 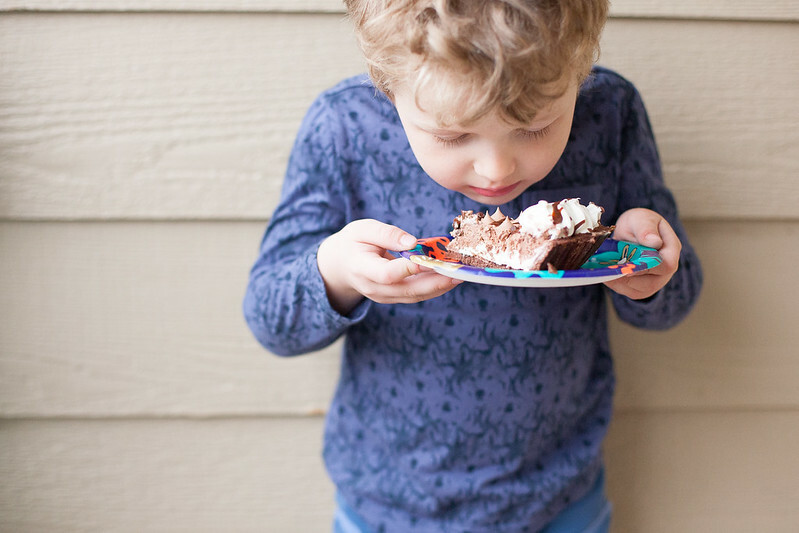 To me, raising school aged kids is much more difficult than raising babies + toddlers. The baby thing seemed to come naturally but having a 5 + 9 year old is giving me a run for my money. Some days it feels like there is too much nagging and going through the motions on my part and I have been missing those moments of mother/son connection between us. 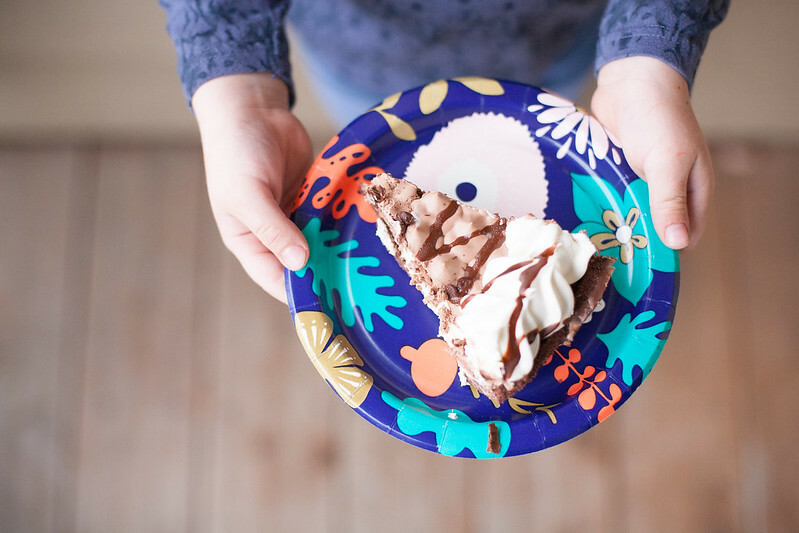 When Edwards Desserts reached out and wanted me to share a Pi Day "Piece" Offering, I knew it would be the perfect chance to set aside a moment to connect with my kids all while earning back some mom points! I picked up my Edwards Pie at my local Safeway. 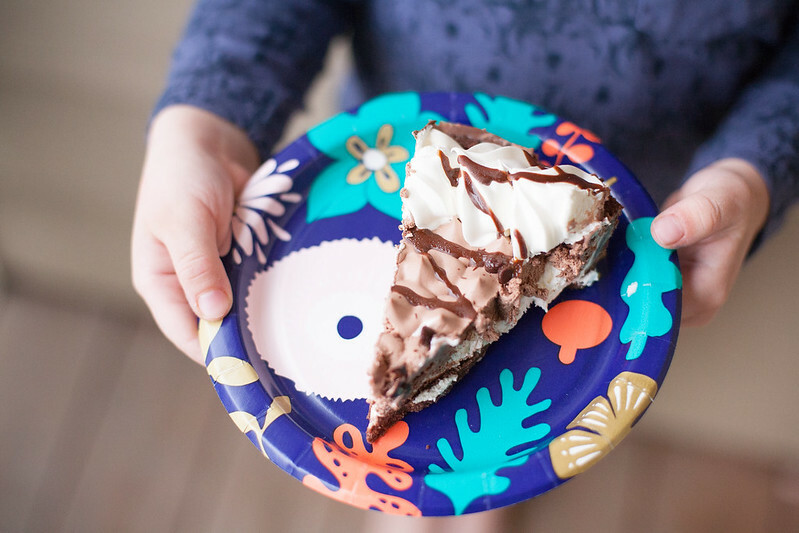 There were several flavors to choose from but I thought that this Hershey's chocolate creme pie would be perfect for my little guys! Asher and Roman were pretty psyched when I surprised them with the pie and told them we were having a little Pi Day celebration! Asher is a picky eater but he devoured two pieces and Roman even stayed in from playing with his friends to share a piece with us! 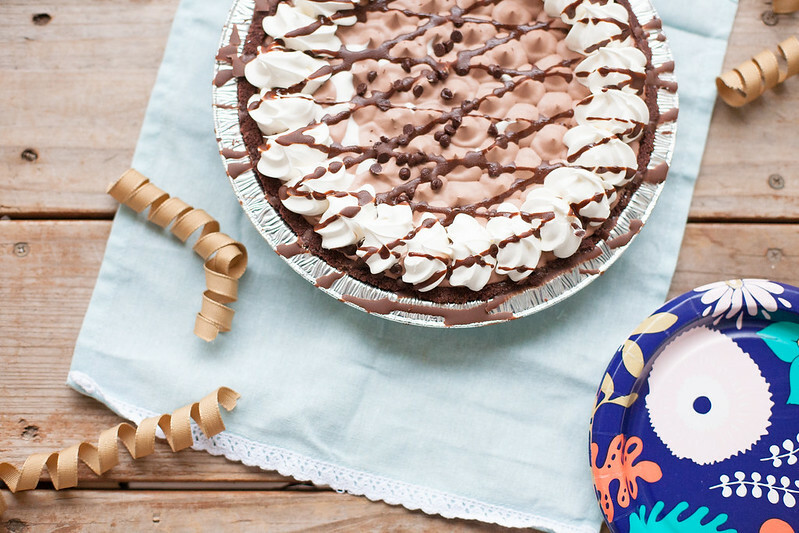 You would never guess that this pie came from the frozen foods section; it is so good! I'd say that my Pi Day Piece Offering certainly did the trick. It was such a good feeling to take a moment to relax and enjoy myself with my sweet little boys. This definitely reminded me that I need to look for more opportunities to surprise my kids with something special. It doesn't take much to make peace and a little bit goes a long way! 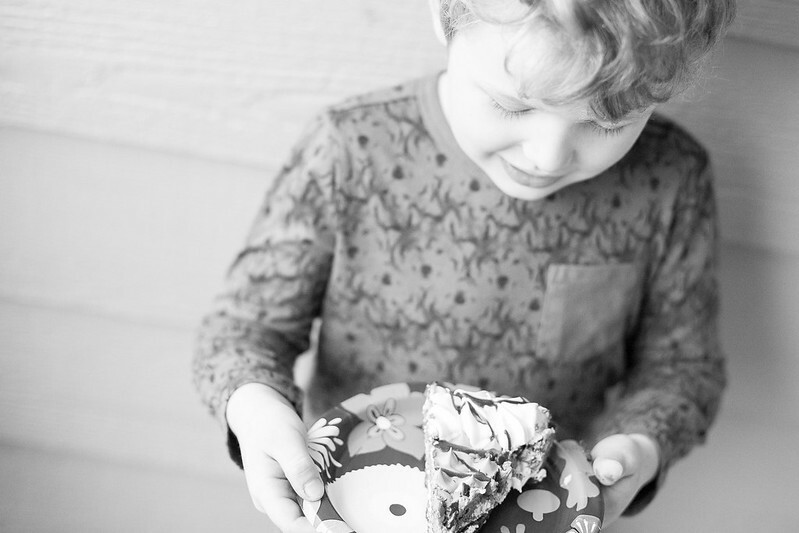 Are you celebrating Pi Day with your kids? 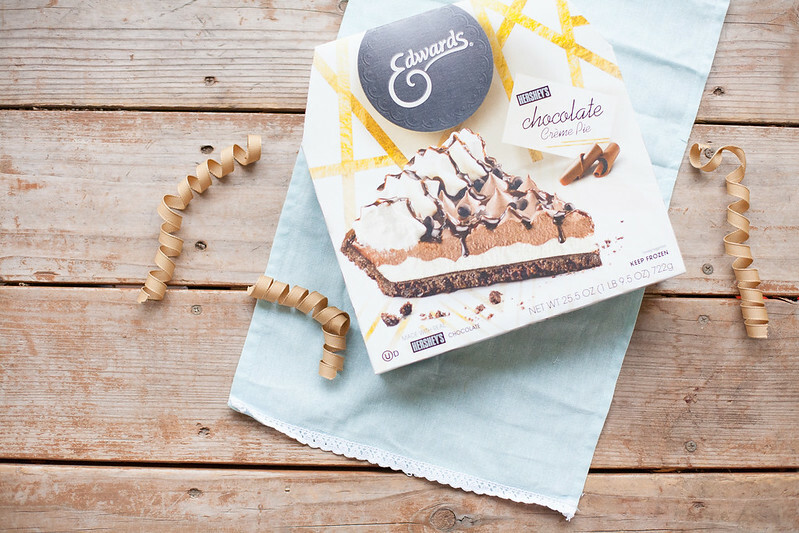 Why not run to the store and grab an Edwards Pie and some cute paper plates and have a party of your own? Checkout the Edwards Desserts Facebook page for more inspiration! This pie looks so delicious! I am going to have to try it. This pie looks delicious. We buy from Edwards when we are in a rush and don't have time to make some desserts, they are yummy. I know my son would love this!!! Looks so so delish!! I wish pi day was everyday! This pie looks delicious!! I'm glad you and the kiddos got to pause and just enjoy a moment together. Sounds fun! Looks so great! Love the adorable photos. This is my husband's favorite dessert! So yummy! Oh my gosh pie is my favorite! This looks delicious! Perfect dessert for family night. First Impression // New Skincare Products!